The best way to ease into spring? Fuzzy sweaters and peep toe shoes. 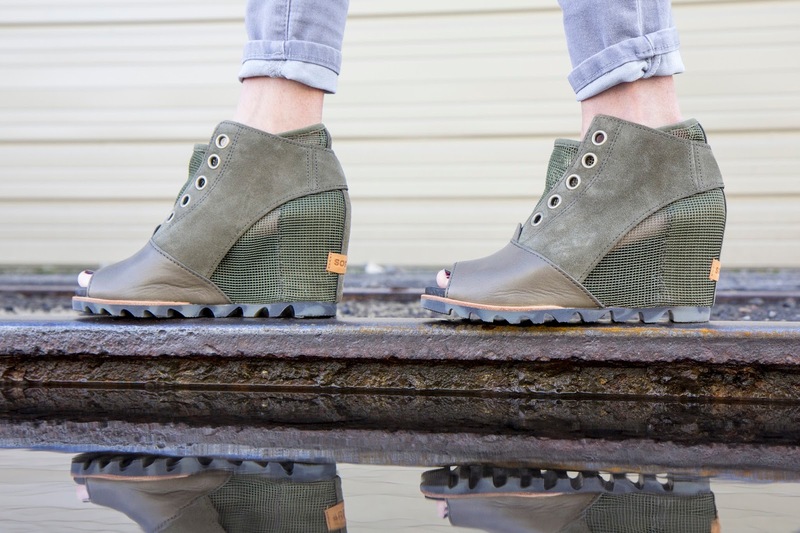 I've been wearing these new SOREL Joanie Mesh Wedges like crazy. They're the perfect balance of 'not quite ready for spring" and "ok I'm ready for spring." The best part? Because they're a wedge, I can wear them allllll day long and my feet won't hurt! I've also fallen in love with the new Spring 16 collection from Kendra Scott. All the new gems are so subtly vibrant and easy to pair with almost anything. I'm a huge fan of pendant necklaces and this collection takes the cake. 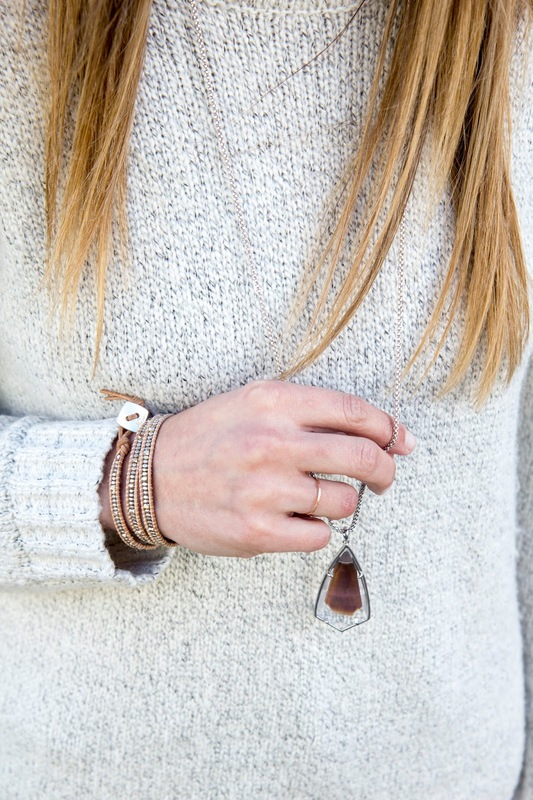 The Nakamol wrap bracelet above is one of my first purchases from Rocksbox and it's a spring staple of mine, for sure. I love the sliver seed beads paired with the neutral leather. Want to try Rocksbox free for a month? Use code TORIBFF46 at checkout and get your first box ASAP!